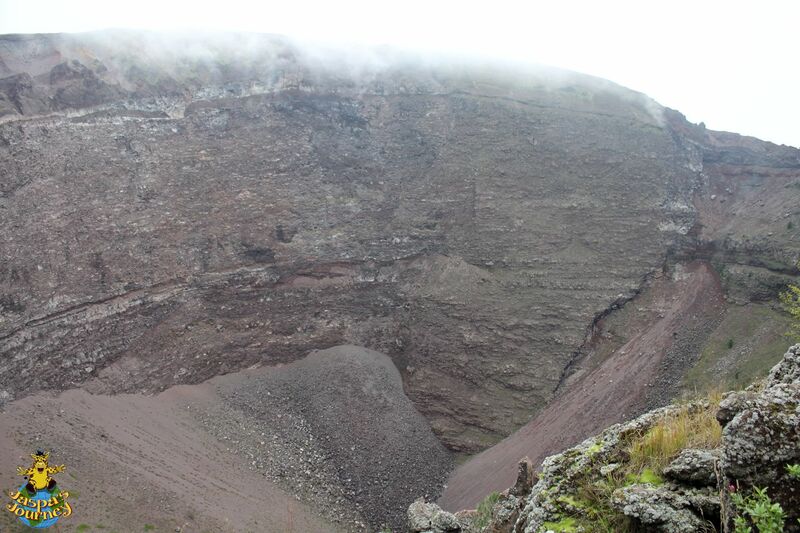 Mount Vesuvius has to be one of the most famous volcanoes on Earth. 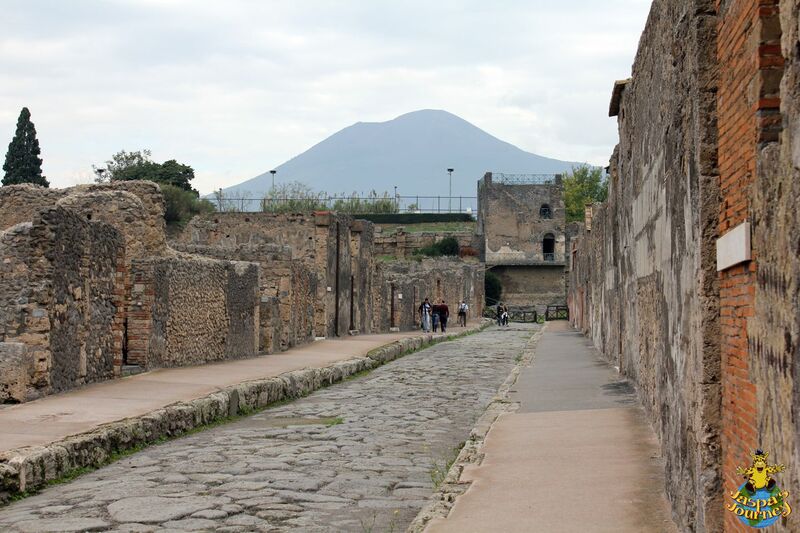 Of course, what it’s most famous for is the destruction of the Roman town of Pompeii (and four other towns) in AD79. 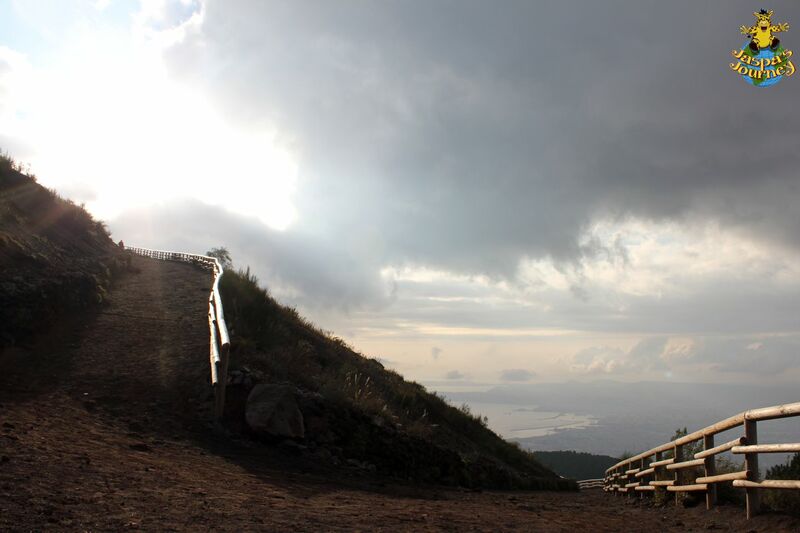 The views from the top of Vesuvius, at around 4200 feet above sea level, are stunning. 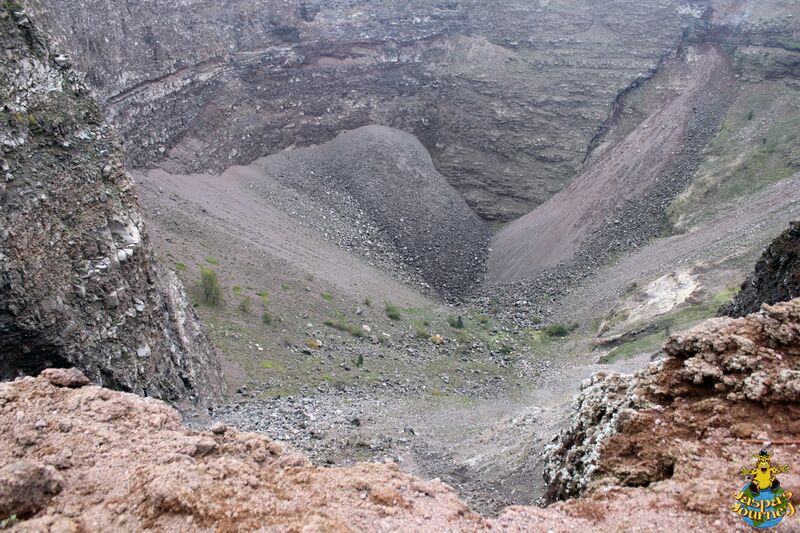 To the south, they include the archaeological excavation at Pompeii (once you get your eye in). 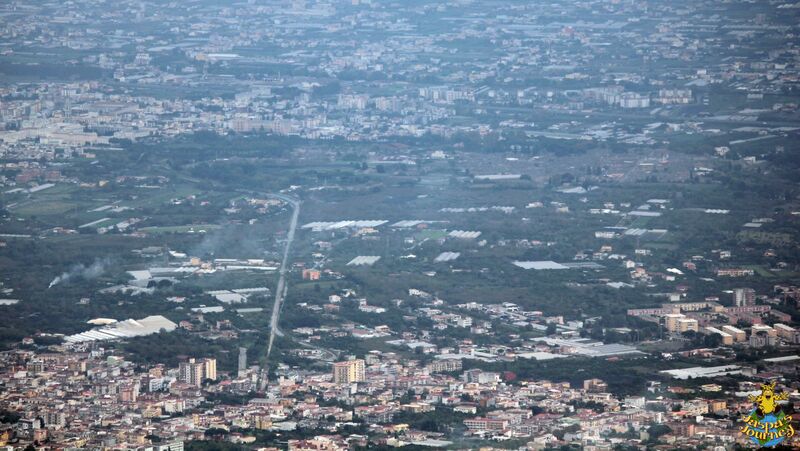 To the east, is the city of Naples and, closer at hand, the modern towns of Ercolano and Torre del Greco. 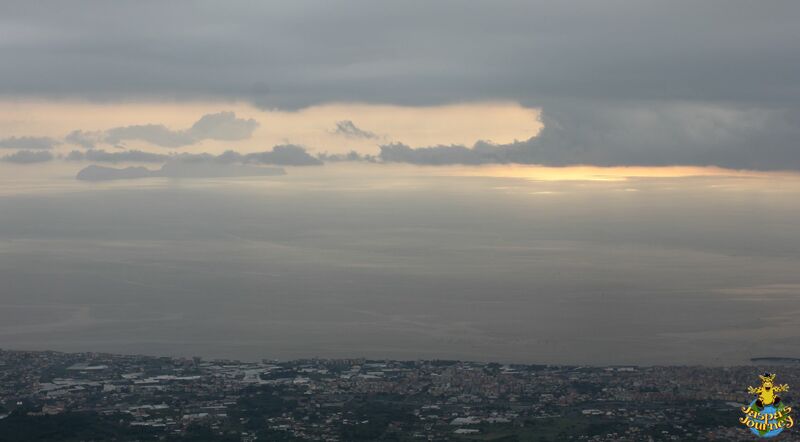 The Roman predecessors of Ercolano (called Herculaneum) and Torre del Greco were two of the other towns destroyed by the same eruption that buried Pompeii. I hope to be visiting Herculaneum in April. 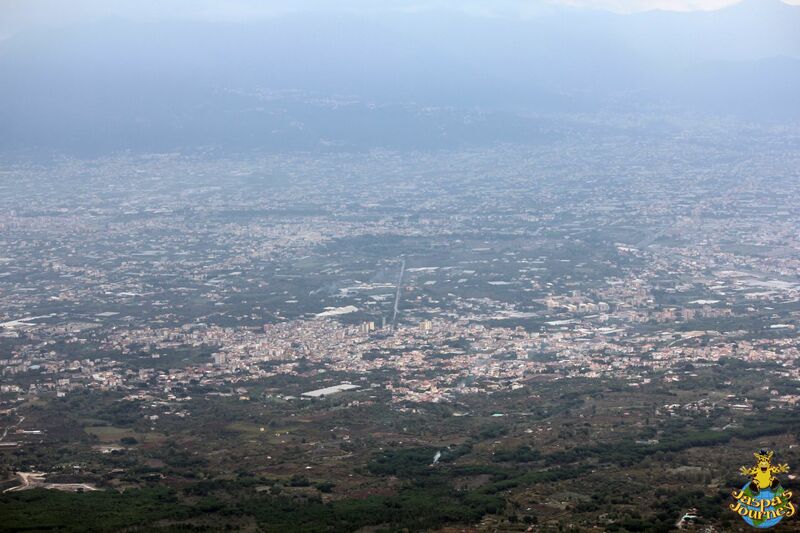 Of course, standing on the top of Vesuvius, there’s another type of view. 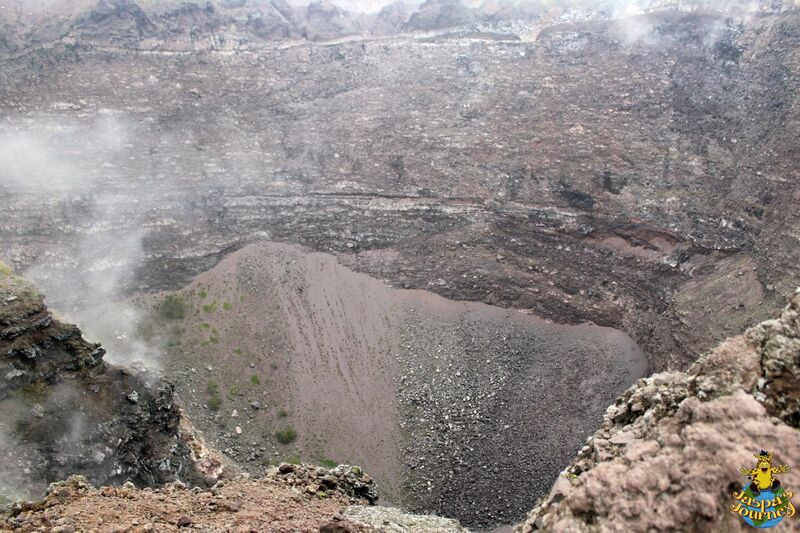 One much closer at hand, but no less impressive: down into the volcano’s crater. 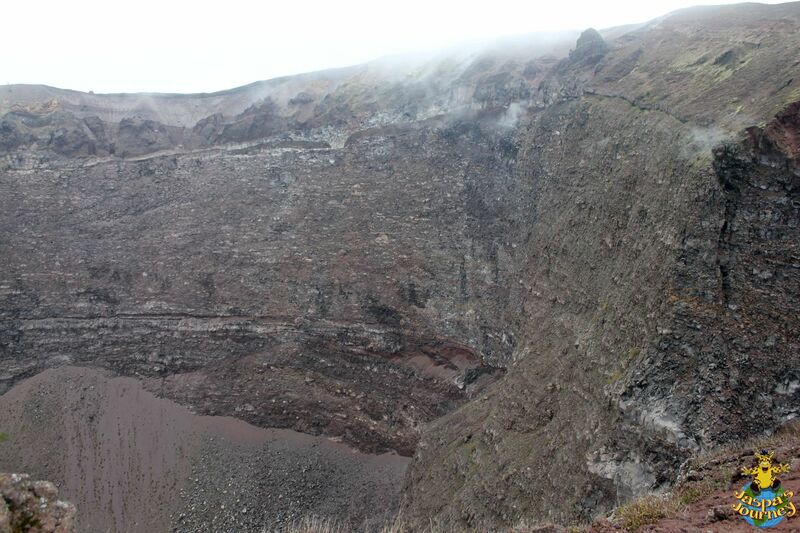 And let’s not forget that Vesuvius is still active! Which makes being up there all the more exciting! 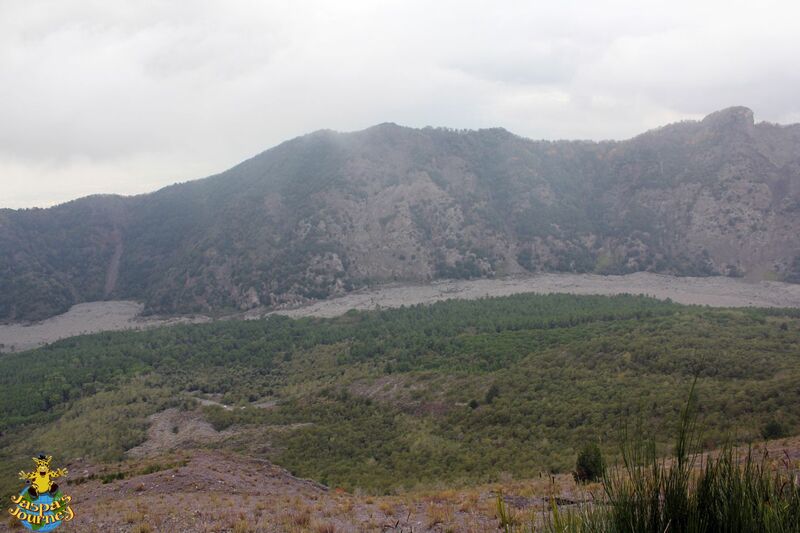 It’s possible to drive up into the Valle del Gigante (Giant’s Valley), which lies between the rim of the older crater of Mount Somma and the more recent cone of Mount Vesuvius. 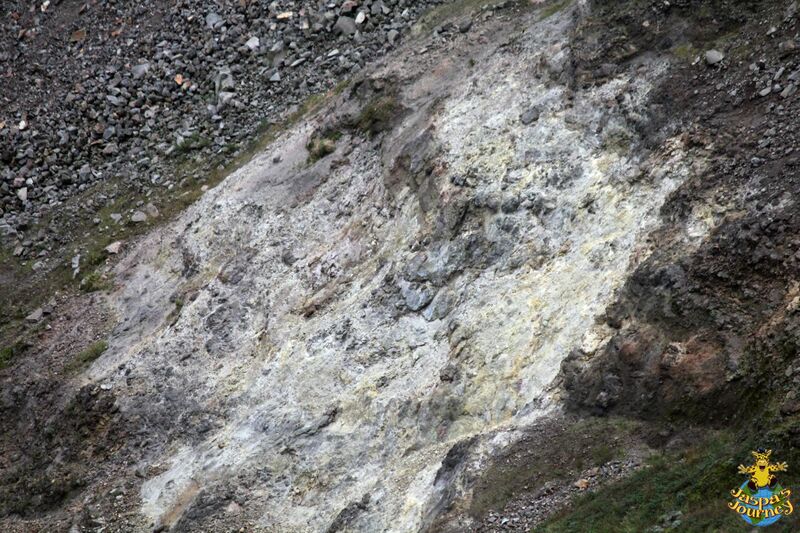 But the last part of the climb must be made on foot. This post was inspired by the photo themes of Looking Down on Things from Cee’s Fun Foto Challenge, and also Cee’s Which Way Challenge and Jo’s Monday Walk. The first two Jaspa’s Journey adventures, The Great Migration and The Pride of London, are now available in both paperback and ebook formats! Click here for more information. The third instalment, Jaspa’s Waterloo, is scheduled to be released by Speaking Volumes later this year. 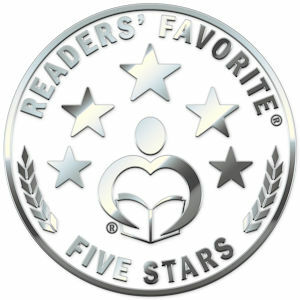 Jaspa’s Journey: Perfect for Kids 8 – 80! 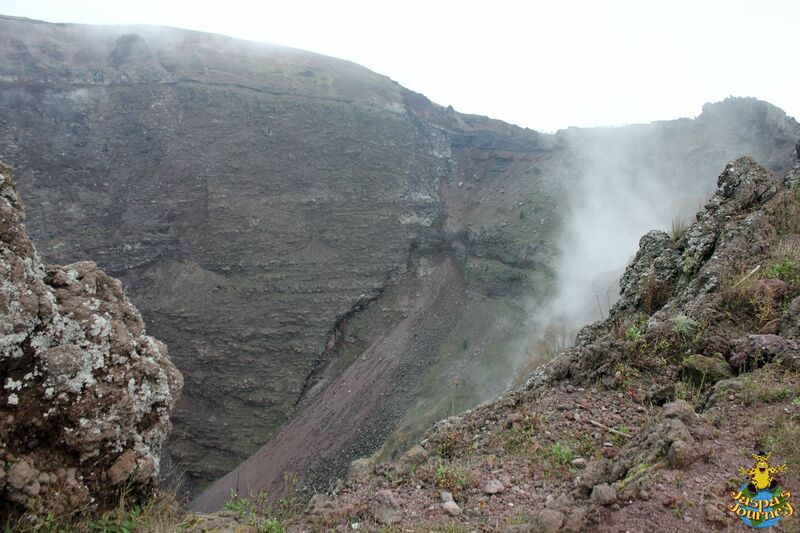 This entry was posted in Adventure, Environment, Europe, History, Travel and tagged Cee's Fun Foto Challenge: Looking Down on Things, Cee's Which Way Photo Challenge, Jo’s Monday walk, Mount Vesuvius, Naples, Pompeii. Bookmark the permalink. That’s a mighty walk, Jaspa! I’ve been to both Pompeii and Ercolano (by train, I hasten to add 🙂 ). Quite magnificent, aren’t they? Many thanks for the link. My pleasure, Jo. Haven’t been to Herculaneum yet, but hope to get there when we visit Naples in April. Gorgeous photos as always. Thanks Jaspa. 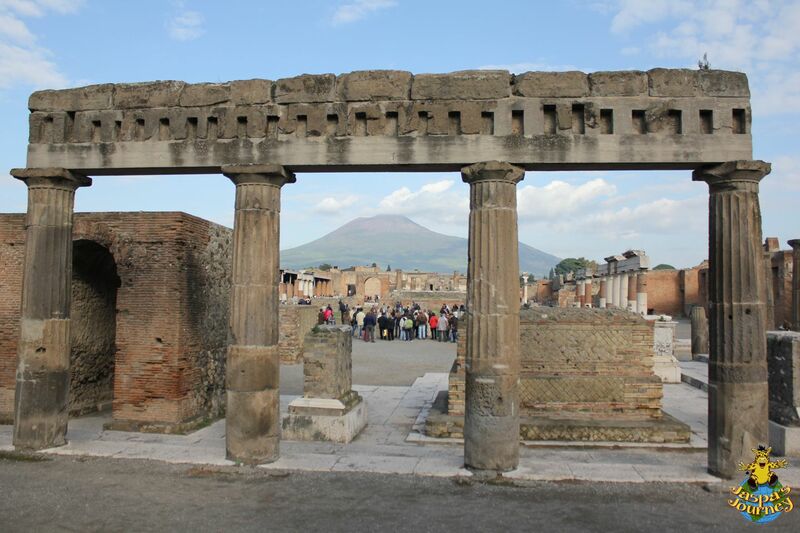 I loved visiting Pompeii. 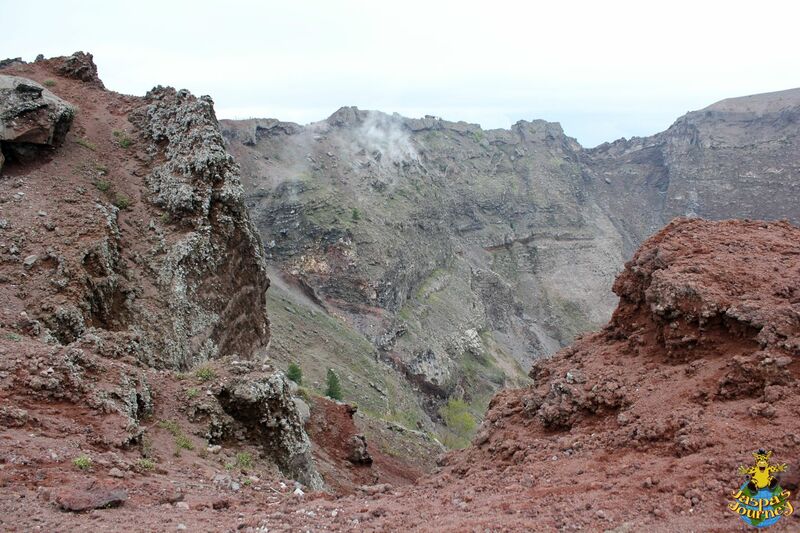 Now I have a good reason to go back: heading up Vesuvius! It’s definitely worth the effort, Kristyn! 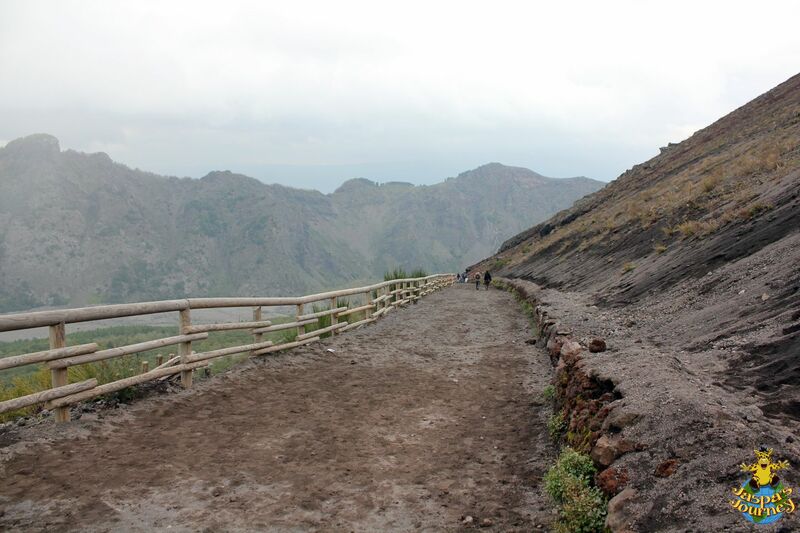 Never been to Pompeii but it is somewhere I’d love to go, and now I know you can climb Vesuvius I will definitely make the effort to visit. Both places are amazing, Becky! 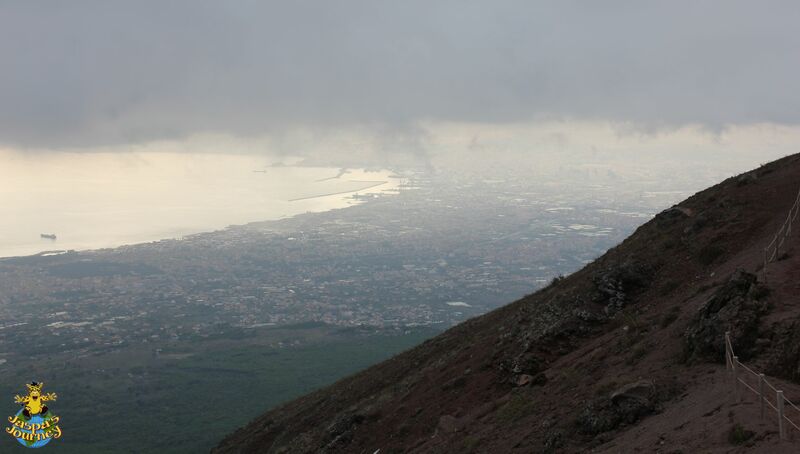 Fantastic and there is something so alive about Mt Vesuvius. Thank you for sharing. 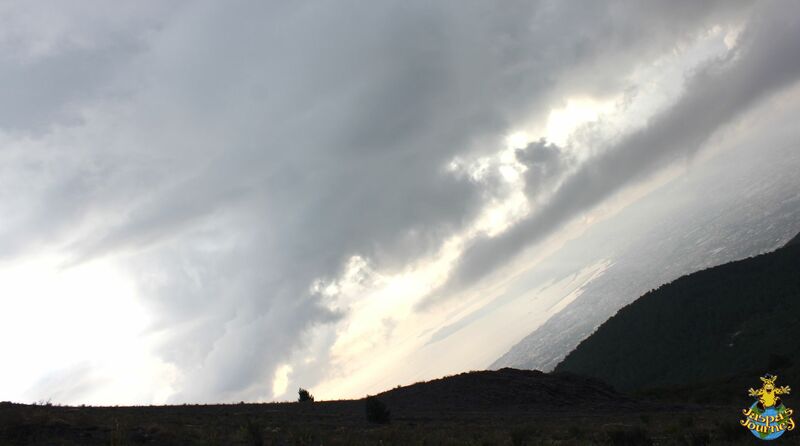 My pleasure… And by chance I saw Vesuvius again only yesterday, from Naples. 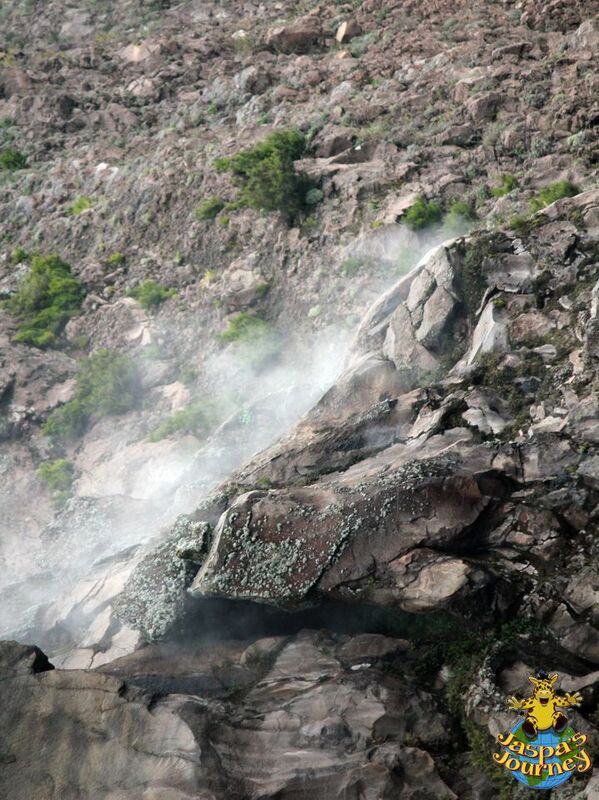 It’s an impressive place, that’s for sure! wow that is so cool! 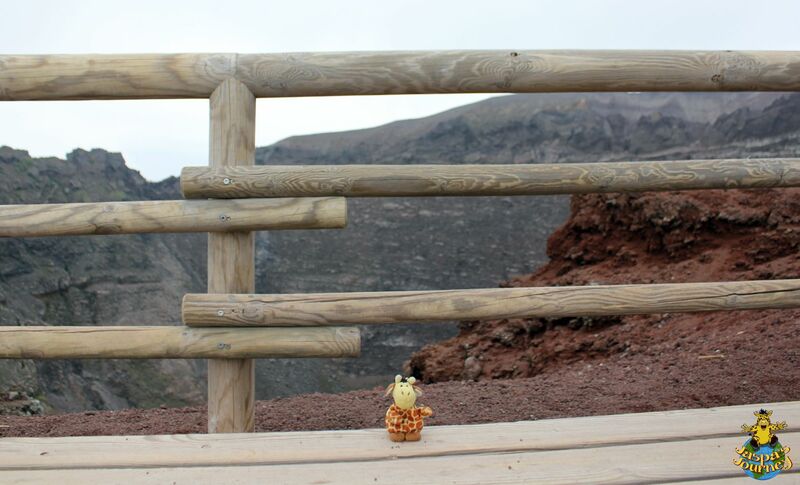 I went up a volcanic mountain too just like you so I can understand how amazing it is! If you have time, check out my latest blog post at https://tootinghustle.wordpress.com/2017/03/30/embarrassing-moment/ and let me know what you think! I’m lucky enough to have already travelled quite widely, Manisha. Five continents, over 60 countries and all 50 US states…. And I’m just getting started! Seriously though, thanks for stopping by, and check out some of my other posts for an idea of where else I’ve been. How did you do this! ?